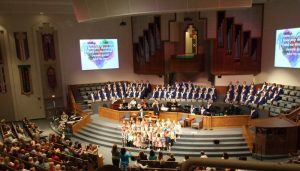 North Jacksonville Baptist – Happy Mother’s Day! 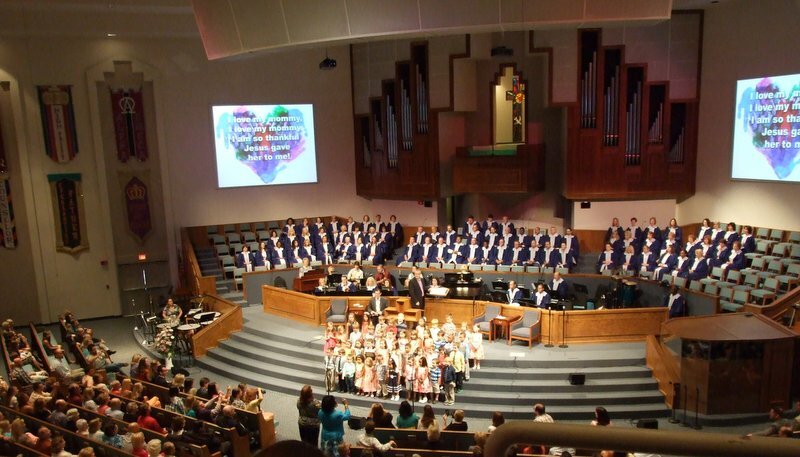 The children's choir on the morning service - they were so cute! Nathan and I flew straight to Jacksonville from the Dominican Republic because I was doing a Mother’s Day event for North Jacksonville Baptist and singing on their morning service. We got in Friday night late and were totally exhausted, so we caught up on sleep and emails and notes and things, and then headed out for just a bit to the Saturday art market which is held under an overpass. We figured we would get lunch there and just have a little downtime. What a cute little art show/ craft fair/ farmer’s market! 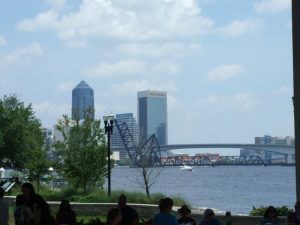 We looked around, admired all the doggies (apparently there’s a big doggie connection here), got some great food at the booths, and listened to an outdoor concert all while experiencing a beautiful breeze and looking at the JAX skyline over the water. That’s a pretty outstanding lunch! We then headed over to sound check at the church and spent the afternoon at that. Sunday morning, I spoke and sang for their Mother’s Day brunch. This is a annual tradition here, and they had about 700 women at tables with the stage in the middle, so I did a lot of rotating. 🙂 What a warm group, and the leadership was so kind to us both! 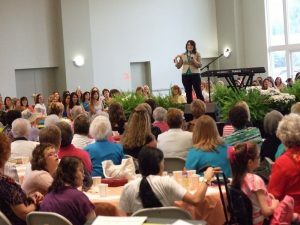 After the women’s event, we went into the service where I was presenting some special music. We also heard from a children’s choir (absolutely adorable!) and the amazing worship team with a choir of over a hundred and a 40 piece orchestra – that will life you right out of your seat! Add to that a great sermon from the pastor, and a service that ends with people coming down to receive the Lord, and you have me in tears. I don’t think I will ever get over the grace of God, and when I see people giving their lives to Him, it just overwhelms and blesses me. Nathan took me out for a Mother’s Day lunch. For Mother’s Day I got my mom the awesome gift of watching my kids!! Seriously, she is wonderful, and we did something special both with our kids and my mom when we got back. This was a great weekend, and I hope I’m back here someday! But I’m also super happy to be home and with my kids again – we missed them so much in the Dominican Republic! I’m so glad that they are coming with me on all my travels this summer and we won’t have to be apart again for quite a while. This entry was posted on Monday, May 13th, 2013 at 1:55 am	and is filed under News. You can follow any responses to this entry through the RSS 2.0 feed. You can leave a response, or trackback from your own site.